I don’t know about you guys, but for some reason the noir palettes and angsty protagonists of old-school films touch my heart in a way that modern movies never seem capable of. If you agree, or are curious about whether you might, check out any of the following classic films about writing, reading, and the ups-and-downs of creative life. This film tells of the life of Iris Murdoch (played by Kate Winslet), a famous philosopher, novelist, and Oxford professor. Iris, a coy, fiery, and fiercely intelligent young woman, falls in love with John Bayley, a fellow professor. The film primarily traces the twists and turns of their relationship, but the film’s true poignancy shows up when we see Iris’ devastating struggle with Alzheimer’s later in life. Grady Tripp (Michael Douglas) is a creative writing professor, yet he can’t seem to finish his second novel. His editor (Robert Downey Jr.) is impatient for Tripp to finish the book and flies into town to check up on him. Despite his editor’s presence, Tripp has no idea how to finish the novel. But between James (Toby McGuire), a talented writing student who can’t seem to tell the difference between a real and fake gun, Sara (Frances McDormand), the woman Tripp loves yet can never be with, and an assortment of Marilyn Monroe memorabilia, Tripp will be provided with all the necessary excitement and intrigue to finish his novel. Truman Capote (Philip Seymour Hoffman) is a popular writer for The New Yorker: though he’s been bullied since he was a child for his accent and awkward ways, people sit up and listen when he writes. But when Capote decides to write an article about a series of murders in Kansas, things take a stranger–and darker–turn. The true story behind Capote’s greatest work, In Cold Blood, this film explores the gray areas of morality that are so often obscured by the black-and-white code of ethics associated with our legal system. 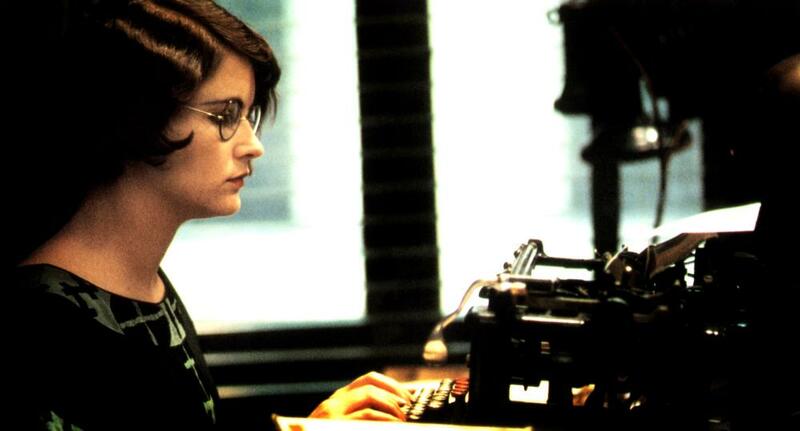 Jennifer Jason Leigh dazzles as Dorothy Parker, a famous writer and de facto leader of the Algonquin Round Table, a group of writers, actors, and critics who gathered at the Algonquin Hotel in the 1920s. Gritty and real, Mrs. Parker is an all-time classic. Ruby Sparks is the touching, inspirational, and downright hilarious tale of an author whose imagination literally brings his work to life. Calvin, a lonely young man and struggling novelist, rediscovers his passion for writing when he creates a fiery, red-haired protagonist named Ruby Sparks. So passionate, in fact, that Ruby soon leaps from the page and, unwitting of her true nature, sets out to bring love and laughter into Calvin’s life. Woody Allen’s Midnight in Paris is perfect for book lovers in search of a more light-hearted movie. Owen Wilson plays Gil, a Hollywood screenwriter struggling to write his first novel. He and his fiancee, Inez (Rachel McAdams), go on a trip to Paris with Inez’s (rather annoying) parents. Gil feels like an outsider on the trip, but while walking around the city late at night, he stumbles onto a place where he does feel like he belongs: Paris in the 1920s. In that world, he gets to meet Ernest Hemingway and Josephine Baker, hang out with Scott and Zelda Fitzgerald, chat with Picasso and Dali, and even show his manuscript to Gertrude Stein. It’s every aspiring writer’s dream to meet their heroes–but will living the dream turn out to be too painful for Gil? 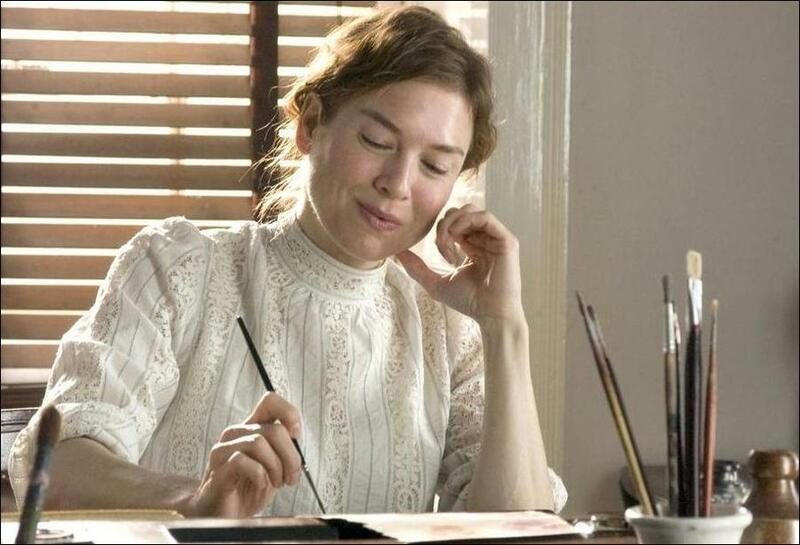 Renee Zellweger is absolutely charming in this biopic about Beatrix Potter, the famous author behind the adorable Peter Rabbit books. Fiercely independent despite both her domineering mother and the chauvinistic tendencies of her era, Beatrix still manages to retain all the magical whimsy of childhood. Sweet, funny, and just heartbreaking enough to keep you riveted until the very last scene, Miss Potter is a must-see for all book lovers. Nicole Kidman’s commanding portrayal of Virginia Woolf earned her an Oscar for this film, and it definitely shows when you watch it. The Hours tells the story of three women: Woolf, who is struggling to both overcome depression and write her famous novel, Mrs. Dalloway; Laura Brown, a pregnant L.A. housewife who reads Woolf’s novel as she plans her emotionally distant husband’s birthday party; and Clarissa Vaughn, a book editor in New York nicknamed “Mrs. Dalloway” by her AIDS-inflicted lover. A tear-jerker if I ever saw one, Bright Star is one of the most tender, gripping literary films I’ve ever seen. It depicts the lives John Keats, famous Romantics poet, and Fanny Brawne, the pragmatic fashion designer who turns out to be the “Bright Star” of inspiration behind Keats’ most memorable odes to beauty, love, and life. One of the best–and most devastating–literary movies of all time, Dead Poets Society follows the lives of a classroom full of young men as they struggle to overcome the intellectual, social, and emotional constraints of 1950s society. But with the help of their quirky but inspirational English teacher, played by the great Robin Williams, these boys just might do it. What’s your favorite literary movie? Share your thoughts below!